Having lived in Singapore for more than 3 years (and counting), it is so easy to take things for granted. 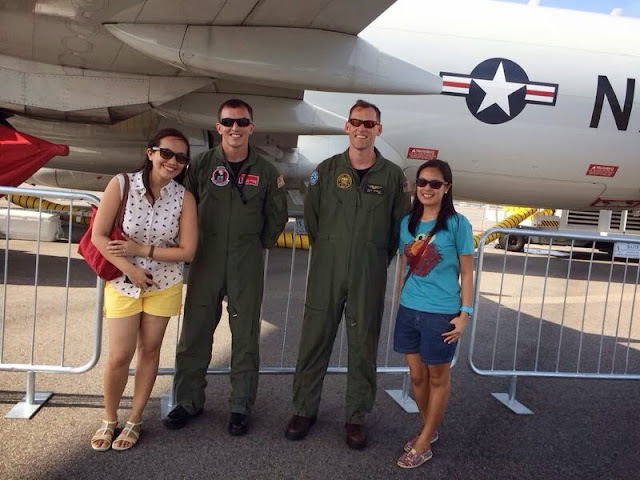 Because Singapore is centrally located and is a main hub in SE Asia, the city hosts a lot of events like broadway musicals, concerts from foreign (and famous artists), the F1 grand prix, and of course, the Singapore Airshow. J & I try to go to these events from time to time, more for the experience and also in appreciation that Singapore truly has a lot to offer. Plus, I'd like to think we're in a better position. Some people would actually fly in to SGP just to be in our place! 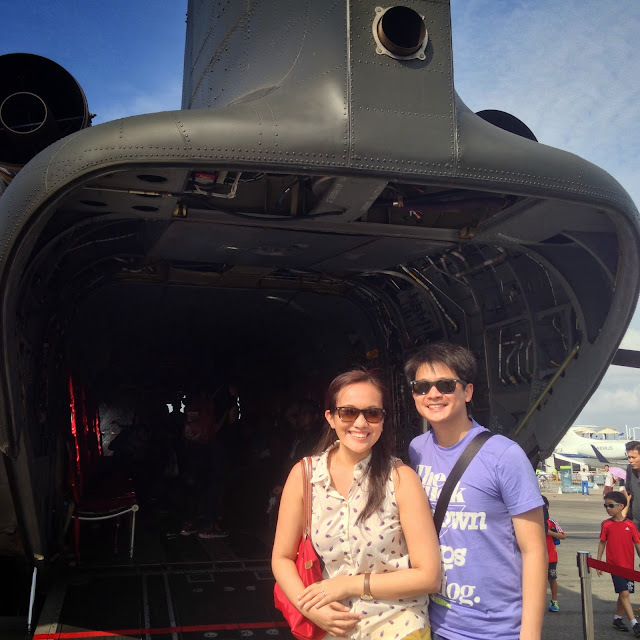 J and A asked us if we wanted to see this year's Singapore Airshow and we jumped right in! 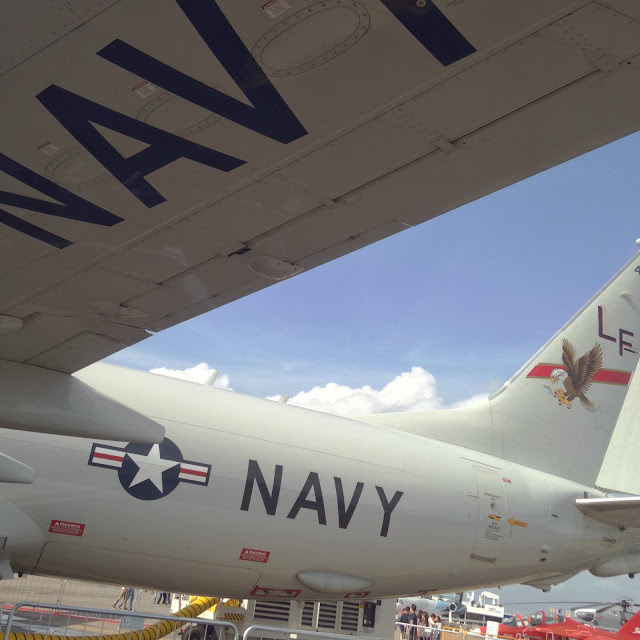 I missed the 2012 Airshow so I wanted to come. And J, well... with his fighter-plane pilot dreams, I bet he was pretty pumped up too. 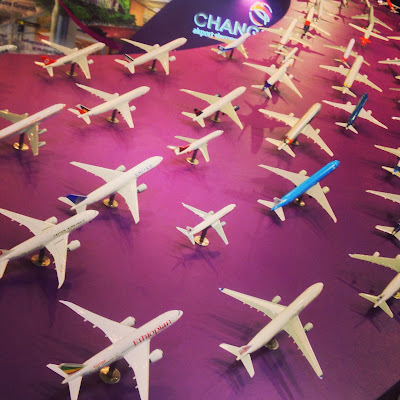 Stepping into the expo hall and the runway filled with those real-life planes was sort of an amazing experience in itself. Stepping inside some of the planes gave a glimpse of what it is like inside and maybe, an idea of what it'd feel like. It gave a sense of appreciation to those who work on air defense, the everyday heroes who are making sure that the rest of us are safe and sound. 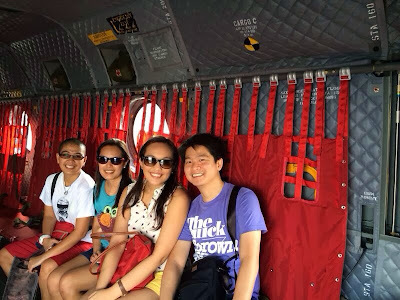 It sure felt nice to be inside a plane which normally, you only get to experience in the movies. Fighter planes, aerospace and defense aircrafts... it's not like you get to pass them by every day at the street. Too bad we missed the air show (aerobatic display) though - we just saw bits and pieces of it while we were on the way to the drop-off area. It would've been the perfect icing to cap the experience. But anyhow, it was a fun experience and something for the books.